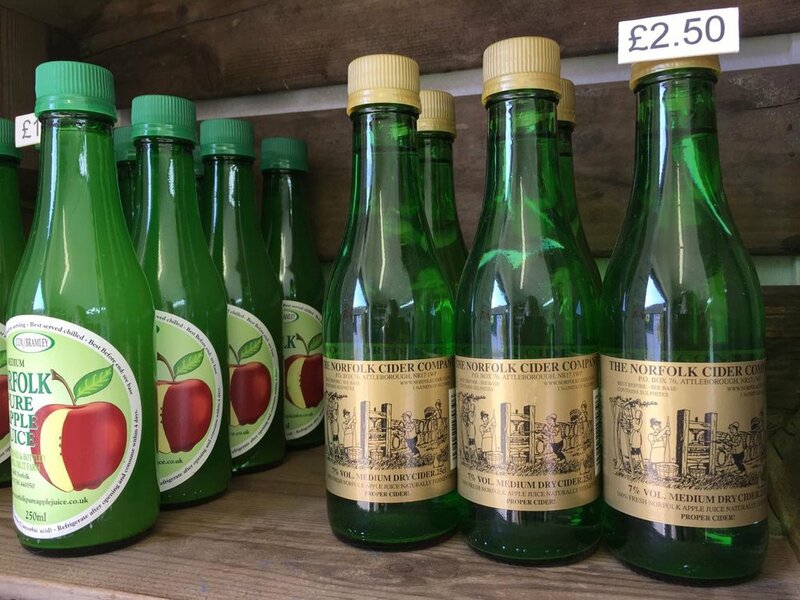 Our range of traditional cider's are naturally fermented for a year using 100% pressed Norfolk Apple Juice. It takes approximately 3lbs of apples to fill a 75cl bottle. the mail order price including delivery to England, wales and South Scotland is £45 per case of 9 x 1litre Plastic bottle-cases can be mixed-please state the number's of bottle variety if mixing case. please note due to breakages we can now only send plastic bottles via courier. 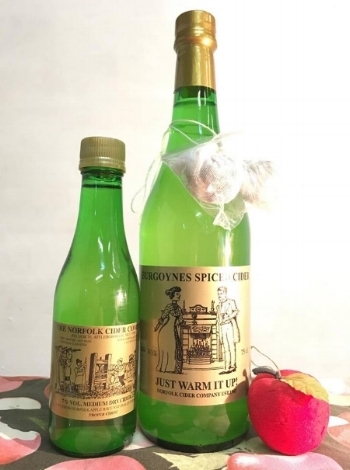 our Cider Vinegar which is fantastic in salad dressings, can also if taken regularly work as an efficacious for arthritis-£36 a case 9x 1 litre bottles.